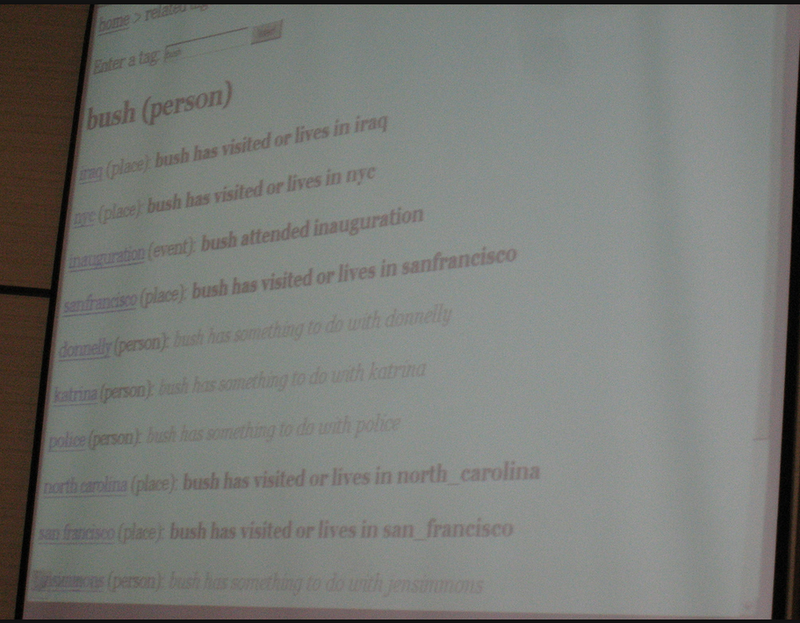 Saved via here (via a trippy duckduckgo search), I found this screenshot of a semantic tagging system that I built and then gave a talk about around 2005/6 or so. The idea was that tags were organized in facets, which gave them some level of meaning (ie. “sanfran” is a place), and from that meaning and from tags that were used together, you could infer more meaning (ie. “peter has been to sanfran”). But what is not so cool is that WP doesn’t seem to let you post animated GIFs? Come on guys! Salon.io is pretty interesting. Posting this here to not loose the link (which is also interesting). What an INTERESTING post!